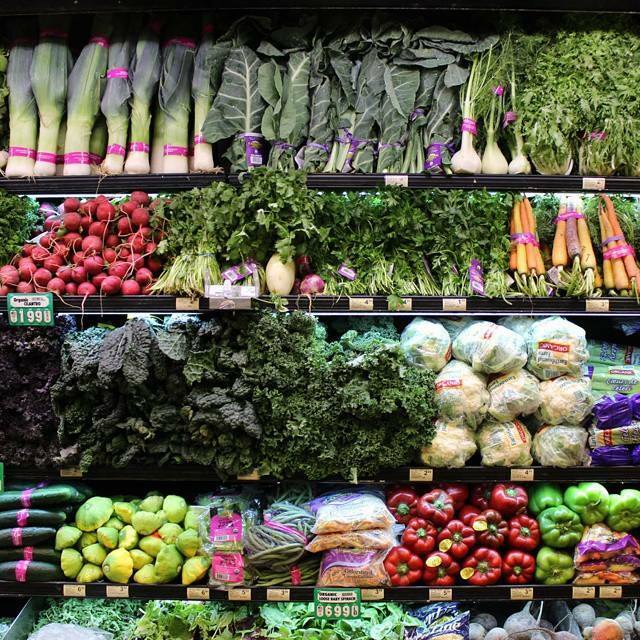 Your one-stop shop to find the city's top grocery stores, from local and organic to cheap and easy. 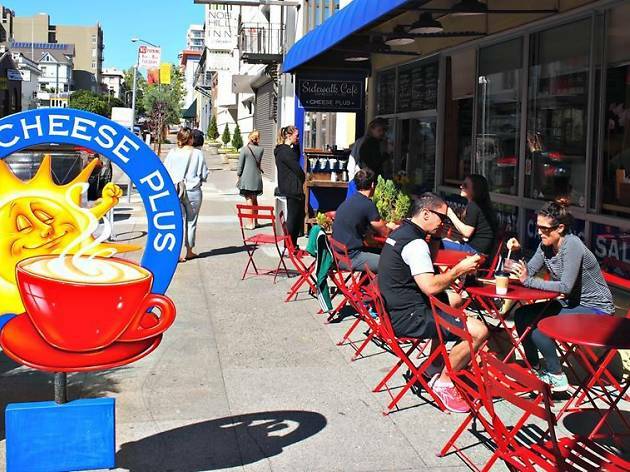 San Francisco is truly a food lover’s city and at any given moment in time, you can find exactly what you’re craving, be it one of the city's best burgers and fries fresh from the deep fryer at 2am or a plate of top-notch sushi on a Tuesday at lunchtime. Not only do food lovers enjoy eating out, they also take pleasure in showing off their cooking chops. This serious food city is filled with culinary street knowledge, and the masses and chefs have to shop somewhere, right? 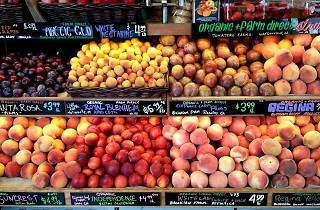 Wondering where local foodies pick out the perfect peaches and the most marbled mignon? 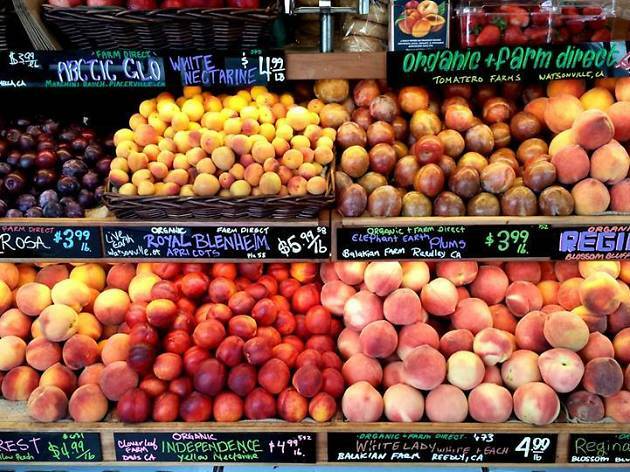 Here, we list the top ten places to shop for groceries in SF. 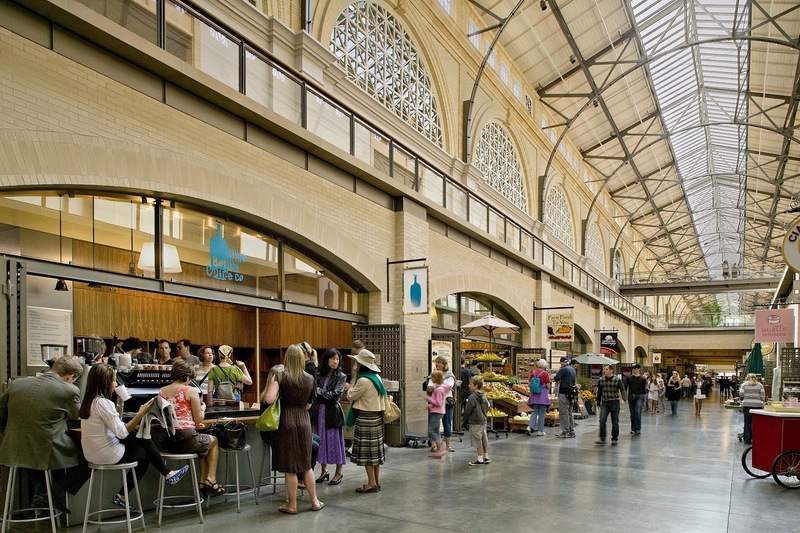 While the Ferry Building is more of a free form market than a grocery store, it's still one of the best places around to shop for food. 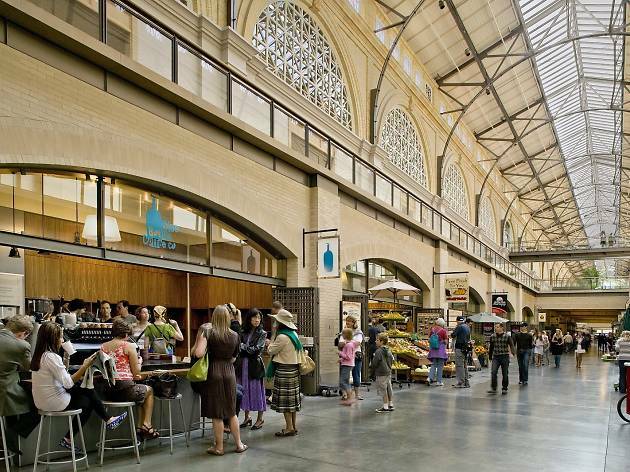 On Tuesday, Thursday and Saturday mornings, it’s home to the Ferry Building Plaza farmers' market, a seasonally-driven chef mecca where everyone and their sous-chef goes to shop for produce and delectable street eats. It’s also fun to walk the perimeter of the Building on an uncrowded weekday and stock up on groceries to host a picnic or party; Pick up local cheese from Cowgirl Creamery, charcuterie from Boccalone, bread from Acme, a sweet finish from Miette bakery and a couple bottles of sparkling rosé from the Ferry Plaza Wine Merchant. There’s also olive oils, honey, fruits and fungi, humanely raised meats and sustainable seafood, dried beans and fresh pressed juice. If there were a Bom Dia market on every corner of the city, the world would be a happier and more delicious place. Honestly, this Noe Valley shop is our dream corner store. 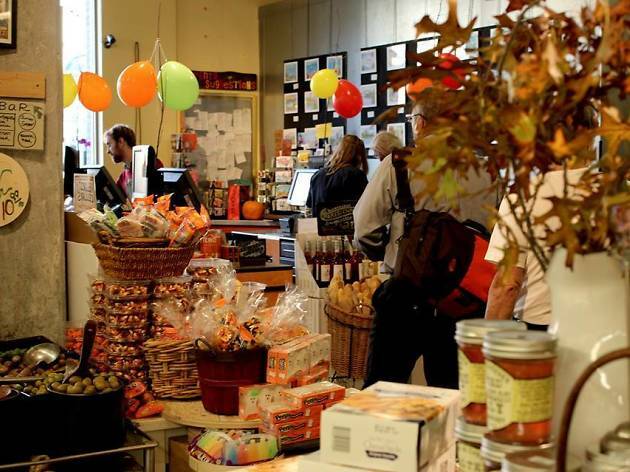 Bom Dia is split into three main sections: wine and beer (a mixture of old and new-world offerings); coffee and baked goods and everyday grocery and household staples. It’s like a modern-day bodega that stopped smoking blunts and eating sandwiches at 3am and finally grew up. The small prepared foods section is Mediterranean-inspired, with lamb salad, bavette steak and zatar roast chicken, and there’s also a gorgeous selection of fresh flowers, buffalo milk gelato and Spanish canned tuna in olive oil—Instagrammers, go nuts. 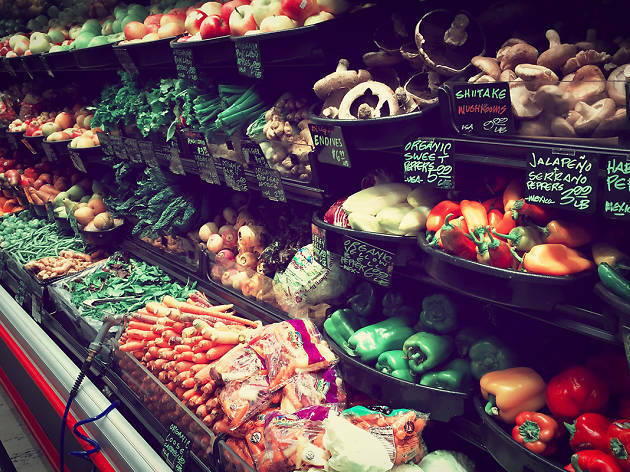 We love Mollie Stone’s because it's a one-stop shop for both high and low end fare. 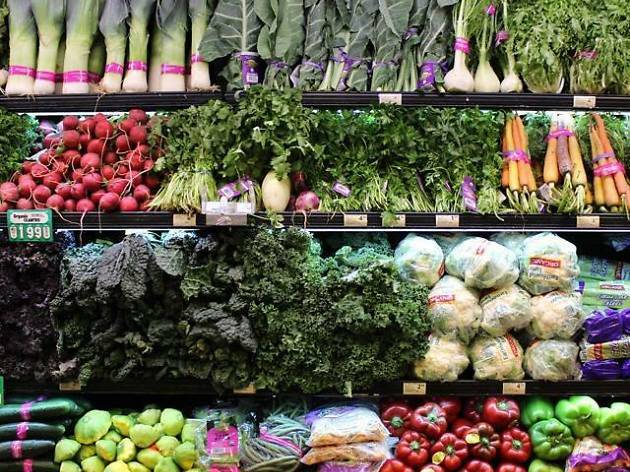 This market sells all the stuff you would find at Whole Foods—think organic local chicken and gluten-free specialty breads—as well as more mainstream items like Oscar Meyer cold cuts and Cheez-Its. With ten stores throughout the Bay Area (the original Mollie Stone’s opened in 1986 in Redwood City), it’s a grocery force to be reckoned with. The staff are incredibly friendly and helpful and the shops' sandwiches, made to order in the deli, are some of the best around. Cheese Plus is the ultimate place to buy cheese (and all its necessary accoutrements) in SF. 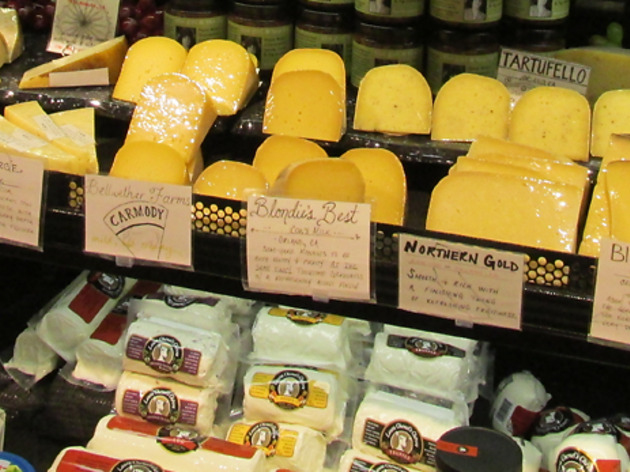 Located on the corner of Polk and Pacific, this small market has an amazing selection of artisan cheeses, from hard to find European triple crémes to American goudas from Wisconsin. Cheese Plus specializes in seasonal items (including chocolate, caviar and other non-dairy treats), so it’s fun to visit frequently and sample new products from all over the world; for example, we can’t wait to get our hands on some lomo Iberico from Spain. If meat's your thing, the smoky, dry cured pork tenderloin is the latest product to hit Cheese Plus’ charcuterie counter. 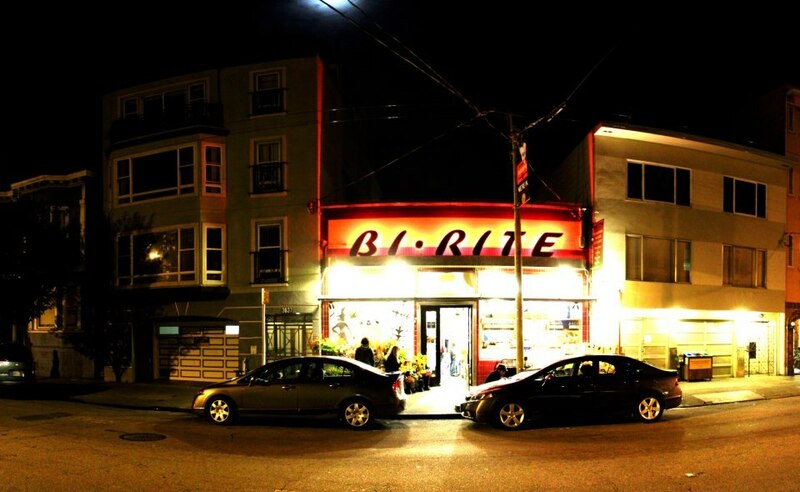 Bi-Rite has been sustaining the hungry locals for more than 60 years, but only became a gourmet deli in 1997. 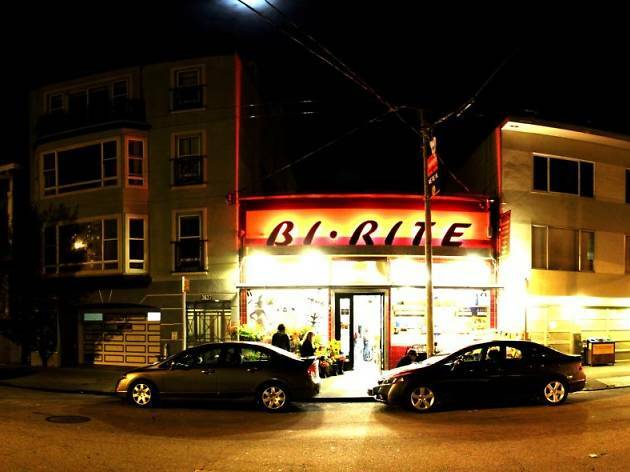 There are two locations in San Francisco: the original in the Mission and a newer market on Divisadero Street. 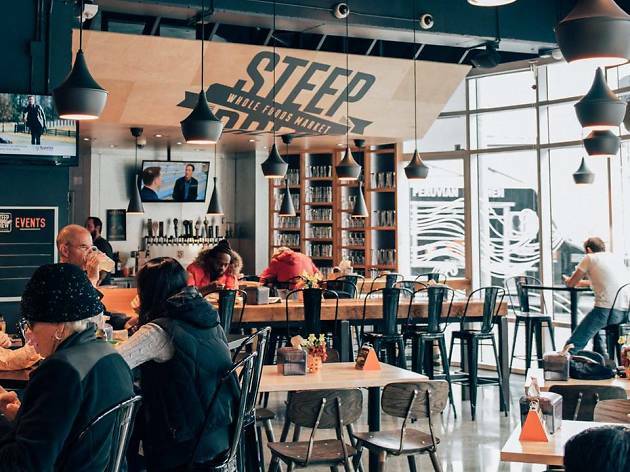 Both are filled with exceptional local products (think 4505 Chicharrones, Frog Hollow apricots and Anchor Distilling gin); a slew of organic, humanely raised, sustainable meats and fish; and lots of scrumptious prepared foods. or picnics there are Middle Eastern dips, house-smoked salmon, salads, cakes, an olive bar and more than 100 cheeses; own-made sausages and pasta sauces bring smiles to self-caterers. Bi-Rite is also known for its amazing ice cream—they invented the now ubiquitous pairing of balsamic vinegar and strawberries, so if you’re shopping there, it’s mandatory to make a stop at the freezer aisle and pick up a couple pints of the creamery’s best flavor. Falletti has been a name synonymous with San Francisco groceries since 1940, when the Falletti brothers first opened their doors. 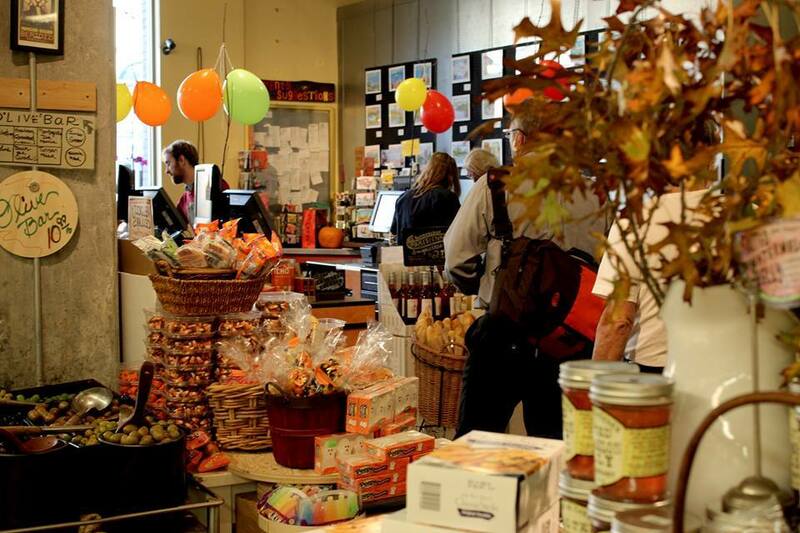 In 2006, Falletti’s moved to its current location on Broderick Street in Nopa, where the L-shaped market sells nationally known products like Muir Glen organics and local favorites such as Straus Family Creamery’s butter, milk and ice cream. There’s also an exceptional selection of cheese, meat, wine and produce. If you’re looking for lunch, head to the deli and order a sandwich—we’re huge fans of the Italian cold cuts on foccacia, which is filled with a healthy portion of wine-infused salami. Cheers! 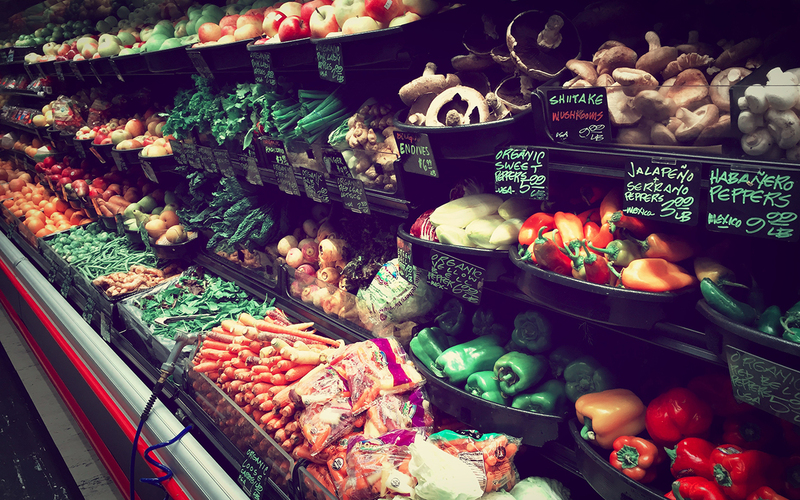 Canyon Market is the place to shop in Glen Park. The shop has an extensive seasonal produce offering, a lively deli with delectable prepared goods (everything from onion squash risotto and sesame noodle salad to grilled Thai curry game hens and ricotta spinach manicotti), bread that’s made in house and hard-to-find imported items like cured white anchovies from Spain. 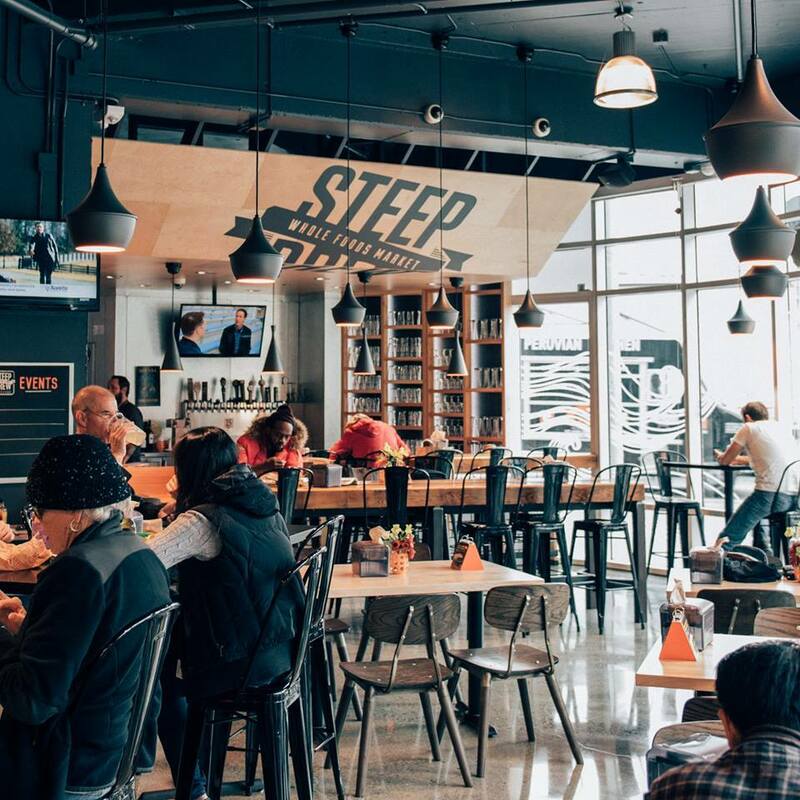 The staff is friendly, informed and always ready to lend a helping hand, be it in picking out a red to pair with lamb lollipops or recommending cheeses for a proper platter. There’s also a coffee bar where the baristas prepare frothy cappuccinos and a bakery with stunning cakes, brownies, cookies and tarts. 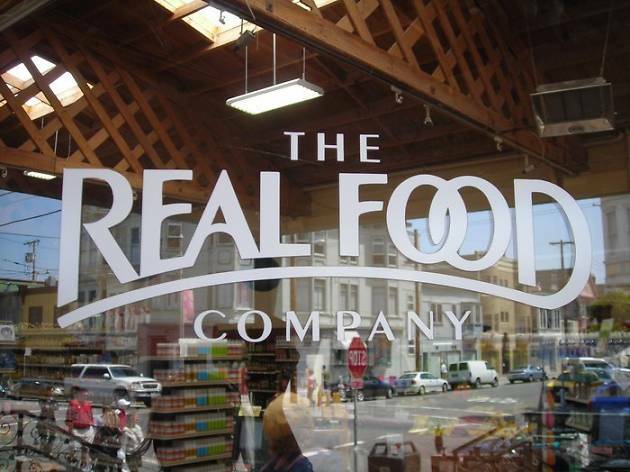 Real Food Company is part natural foods store, part grocery store and part deli. Real Food has everything you need for a properly stocked kitchen and pantry: cornmeal pizza with Italian sausage, bow tie pasta and organic tomato sauce, fresh apricots and kale. Plus, there's a selection of artisanal cheese from local favorites (like Point Reyes Toma and classic Blue), and thinly sliced, melt-in-your-mouth, buttery charcuterie. If you’re concerned about consuming genetically modified foods, Real Food Company is the market for you—it’s stocked with products that are 100 percent non-GMO. 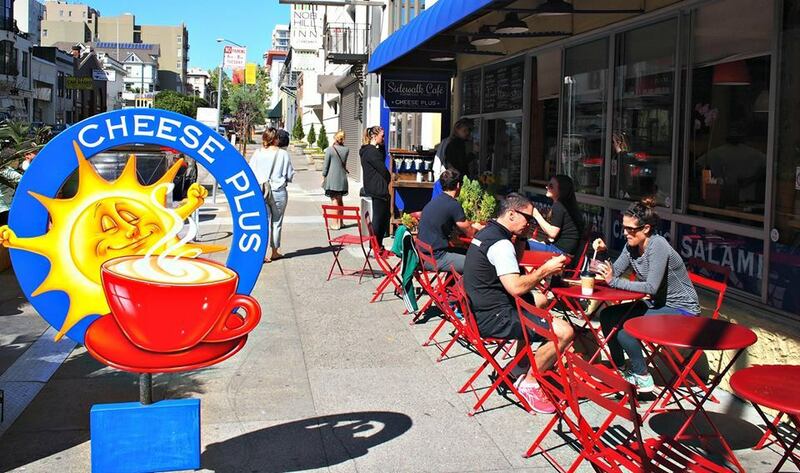 Visit either of the market's two locations, in Cow Hollow on Fillmore Street or Russian Hill on Polk Street. 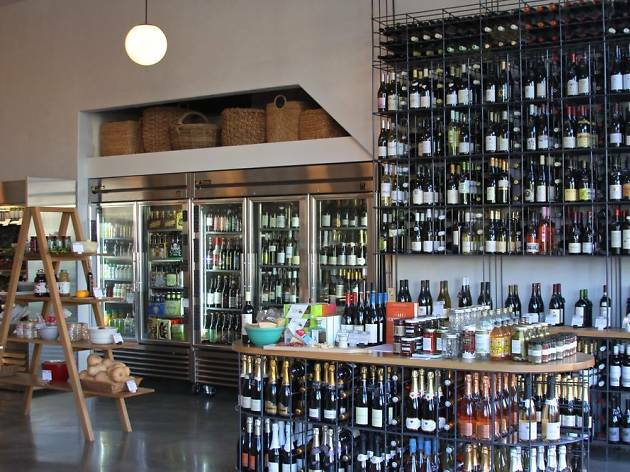 Le Beau Market has been serving the Nob Hill neighborhood since 1984. 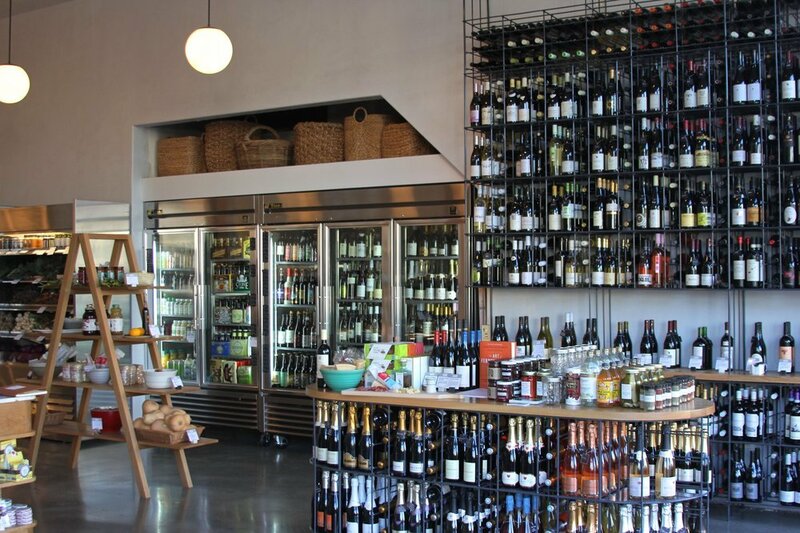 Located on the corner of Leavenworth and Clay, Le Beau is a one-stop shop for everything on your list: in-season produce, organic meat, interesting and exotic wines and an extensive cheese selection. Le Beau makes wildly scrumptious sandwiches (such as grilled salmon with avocado and housemade cole slaw, meatloaf with barbecue sauce and grilled onions and roast beef with pesto and pepperoncinis) perfect for picking up before you head off to a day of wine tasting or frolicking on the beach. Don’t feel like making dinner? Grab some of Le Beau’s whole chickens, traditional burritos or fiery chili to go. Ah, good old Whole Foods. You can’t go wrong shopping at one of the national chain’s five San Francisco locations. This monolithic organic foods chain can overwhelm: the cheese, meats, seafood and produce sections are sumptuous altars to pristine, high-minded consumption. Add in the delightful hot food, deli, salad and soup takeout bars, and there's no denying the allure. A fresh bouquet of peonies, cold-pressed green juice, affordable bottle of Chardonnay, broccoli slaw with raisins, locally caught wild salmon, homeopathic vitamins and lavender body wash can all be purchased here—the only thing you won’t find are big name brands like Coca-Cola and Nabisco.